Inside sources say Mass Effect 3 will feature a four-player co-op multiplayer mode with "competitive elements" that is intended to help the game make a bigger splash with mainstream audiences. It's just a rumor at this point but it's a "strong" one, according to Eurogamer, which said that Mass Effect 3 will ship with a standalone multiplayer component being created by BioWare's Montreal studio. CVG backed up the report with its own "reliable development source," who said the multiplayer component will feature "original missions made for online" that will stand totally apart from the single-player campaign. "Mainstream penetration is a major goal for Mass Effect 3 and those high up feel online co-op is the answer they're looking for," the source said. "EA's keen to push the multiplayer side of the game to help spread word of mouth - so it's not just going to rehash stuff from the campaign. It's going all out." The source added that there will only be a small number of multiplayer missions, but they're designed to be played over and over again. BioWare co-founder Ray Muzyka would neither confirm nor deny the existence of Mass Effect 3 multiplayer at E3 last week, saying only, "We haven't talked at all about multiplayer in the Mass Effect franchise, but we're exploring multiplayer in all of our games and all of our franchises." 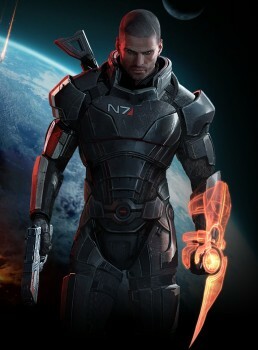 Mass Effect 3 is scheduled to launch on March 6, 2012, for the PC, Xbox 360 and PlayStation 3.